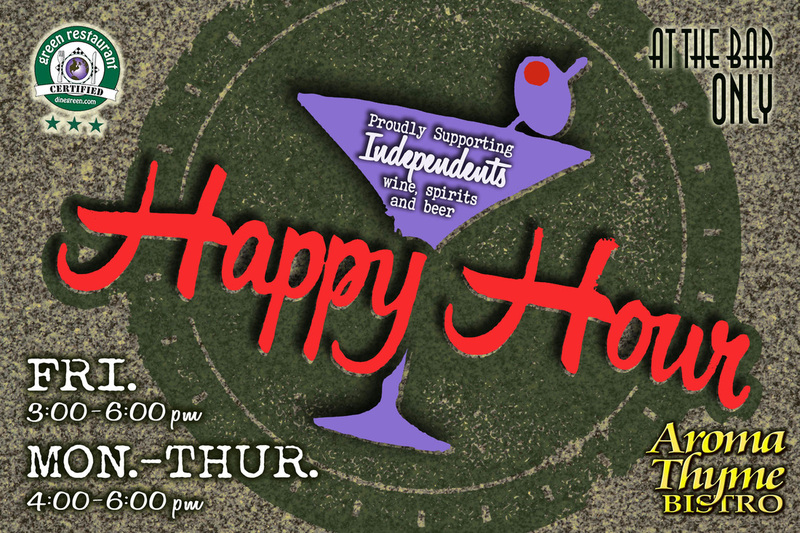 Join Aroma Thyme every Monday to Friday for Happy Hour. ​Save on all drinks at our bar. Save on Craft Beer, Wine, Cocktails. ​We feature all independent brands of craft beer, wine & spirits.